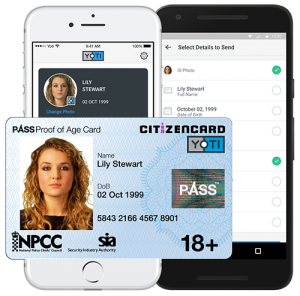 CitizenCard is a nationally recognized, PASS-approved, proof-of-age scheme that helps retailers to identify appropriate customers for age-restricted products. As a result, CitizenCard helps to prevent sales of such products to those customers who are not of the required age to buy such products. The scheme was set up in February 1999. It participates in the British Retail Consortium’s PASS initiative and is endorsed by the Home Office, local authorities and the Trading Standards Institute. Board members include Experian, The Co-operative, Ladbrokes, Camelot, National Federation of Retail Newsagents and TMA. Two million CitizenCards have been issued since the programme was created in 1999, which equates to more than one in ten teenagers in the UK. In May 2018 CitizenCard launched the new Yoti CitizenCard. Yoti is a free app that lets people prove their age and identity to businesses, verify the details of people online, and log in to websites without having to remember passwords. 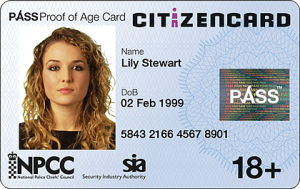 To find out more click on the CitizenCard website.